Eleven Eleven March - November 11th is Veterans Day, but some of us also know it as "Eleven Eleven," as in "11/11" or the eleventh day of the eleventh month. This stately march is perfect for your school's Veterans Day program or assembly. 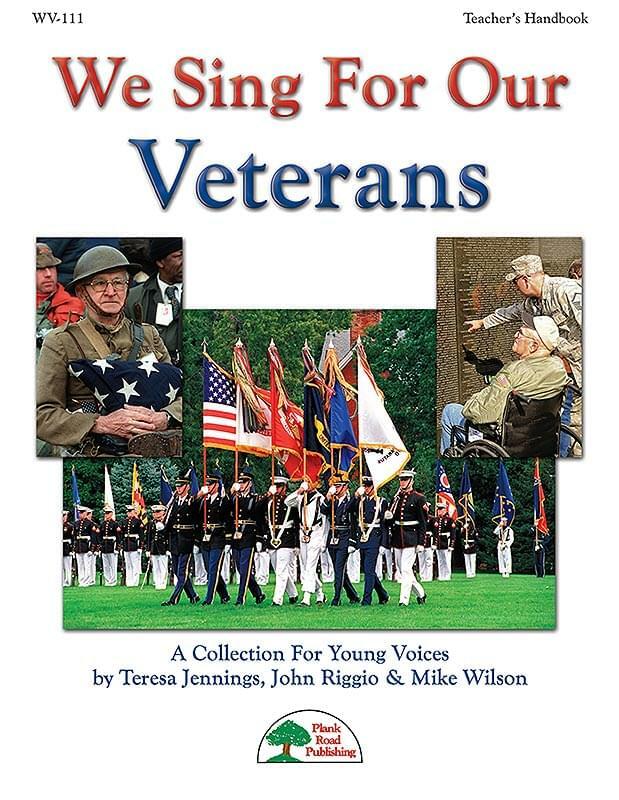 It has a patriotic and inspiring sound, and it has easy lyrics so any student can sing along. Thank A Vet - Better have tissues handy. Orchestrated in a sober, respectful march style, this melody is slow and simple, and easily accessible to all age groups. The accompaniment begins with a brass choir, and also includes snares and percussion, piano, bass, and clarinets. Those Who Served - For Memorial Day celebrations, this song honors the brave men and women who have given the ultimate sacrifice for their country. Though, with a change in the verb tense, it can also be used to honor living veterans during Veterans Day celebrations. The melody is simple and unison throughout. For The Good Of The Many - "For the good of the many, so give the few." This piece is meant to honor our veterans, particularly on Veterans Day. The stately yet reverent setting of the song offers an appropriately serious tone for your performance. It is gentle, but emotional, and its lyrics tell the tale of those whose sacrifices deserve our gratitude. In Service Of Our Country - This song is flexible and provides you with a musical salute to either veterans or troops in active service, or both. Any patriots who have given of themselves for the good of their country are the subjects of this stately anthem. It is sung in unison until the last few bars where there is an optional divisi. Proud Of Our Veterans - The song is both poignant and anthem-like. While the song is written in two parts, the second part is optional, but it is a natural harmony and not too difficult to learn. During the last few measures of the song, we suggest that you let students turn to face the veterans and salute them. This is optional of course, but the impact is worth it. We Will Not Forget - This Veterans Day song is a simple tribute to those who have put themselves in harm's way in service to our country. It's easy to learn and it repeats, so even younger singers should be able to perform it. A clarinet plays the melody throughout to help keep everyone on track.